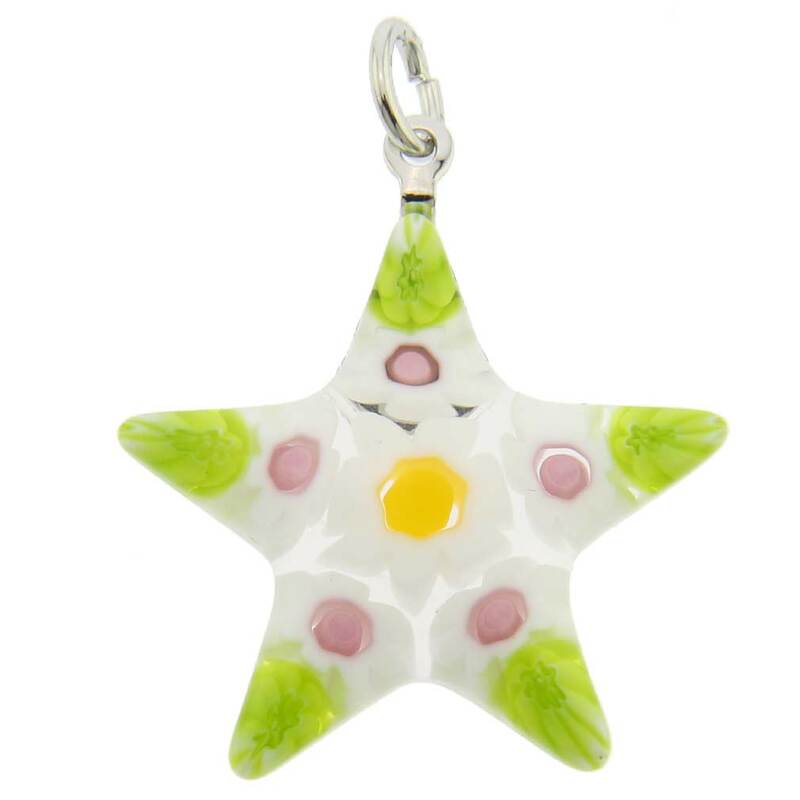 Make your day more delightful and fun with this elegant and beautifully crafted Murano Star Pendant. Ancient Millefiori glass-making technique was skillfully used by Murano Glass masters to fuse together tiny colorful glass mosaic pieces and shape the molten glass by hand. 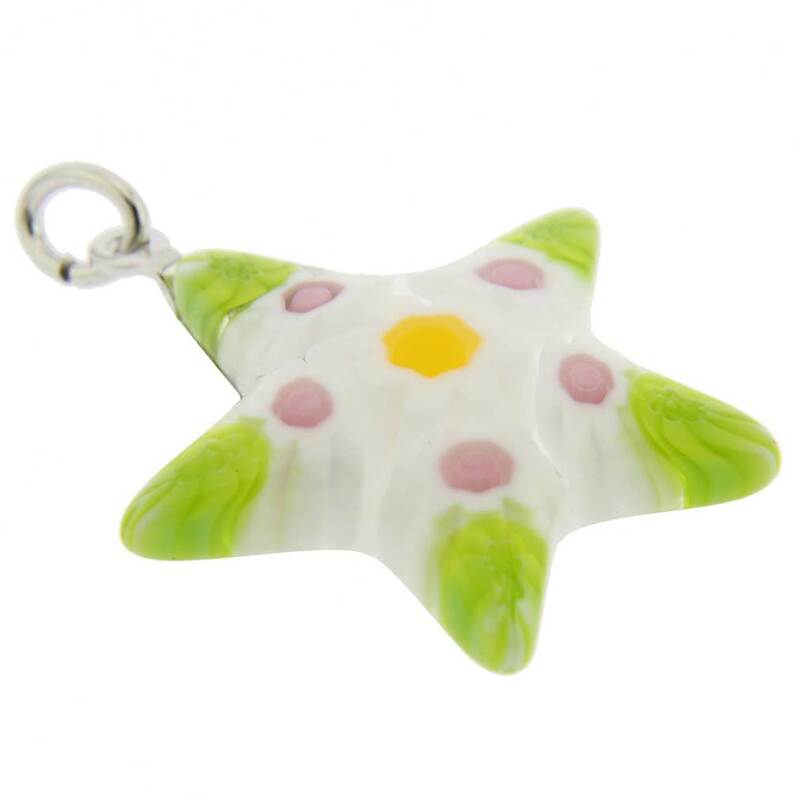 The rich colors and unique look of this Millefiori Star Pendant work equally well for everyday chic or a special evening out. Handcrafted in a legendary Murano workshop where Millefiori technique has been perfected for generations, this pendant is a delightful accent that evokes the colors and lights of Venice. The pendant comes with an attractive velvet pouch and a certificate of authenticity. 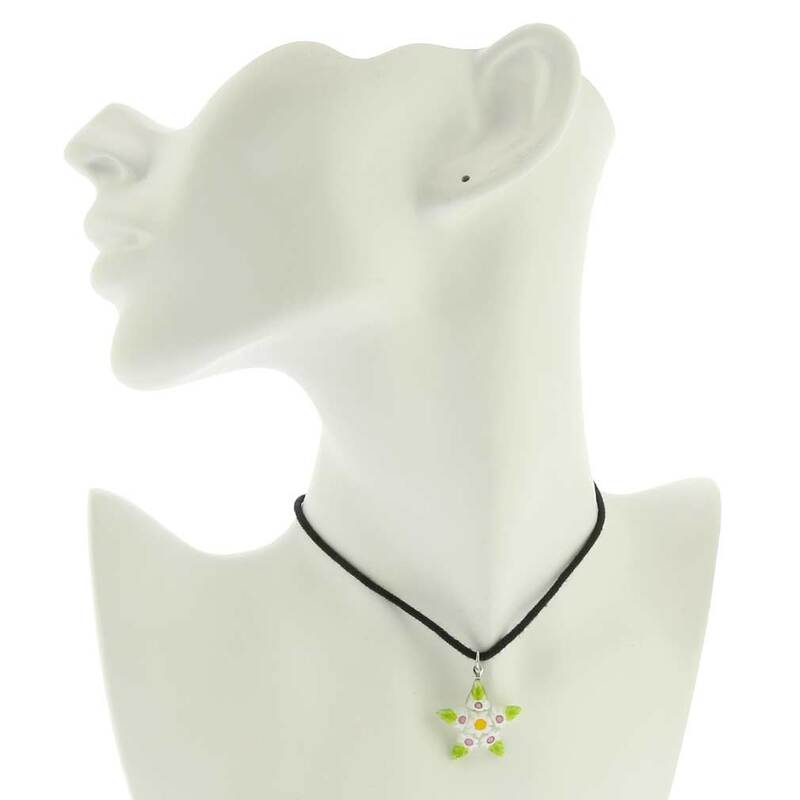 Measurements: The pendant measures 1 inch across and 1 inch in height.